GREENVILLE (courtesy Furman.com) On October 5, Furman University announced an ambitious effort to transform the student experience and address critical community issues. The new strategic vision—called The Furman Advantage—will guarantee every incoming student the opportunity for an engaged learning experience that is tracked and integrated with their academic and professional goals. Launched with $47 million from The Duke Endowment, The Furman Advantage combines a liberal arts education with immersive experiences outside the classroom, creating a personalized pathway that prepares students for lives of purpose, successful careers, and community benefit. Today’s global uncertainties and disruptions reveal more than ever the need to produce educated and thoughtful leaders who have broad-based knowledge and practical expertise to address real issues. The launch of this guarantee is made possible by The Duke Endowment’s support. The Endowment’s newest commitment of $25 million, announced today, will significantly increase the number and quality of global experiences, research opportunities, internships, and community-centered projects at Furman. The Endowment’s earlier gift of $22 million, announced in November 2015, fully funded the James B. Duke Scholarships, providing additional support for students to benefit from Furman’s dynamic education model. In addition to guaranteeing and increasing the breadth of experiences available to students, Furman will build a four-year pathway that integrates co-curricular experiences with classroom work and helps students chart a course from their interests and skills to life after college. Building on successful pilot programs, the university will offer students new tools for assessing their strengths and connecting the dots. Universities for many years have offered engaged learning opportunities—internships, mentored research and study abroad, for example—but few if any have guaranteed them for all students and integrated them fully with the learning experience. In 2014 and again this year, Gallup and Purdue University surveyed recent college graduates across the country. They found that students who experienced faculty mentorship and relevant professional practice, connected to classroom and project-based learning, are the most likely to be positively engaged at work and thriving in all aspects of their lives. Yet only 3 percent strongly agree that they experienced all of these elements during college. The outcome will be an unparalleled educational experience that combines an intimate campus focused on students’ needs with the breadth of opportunity afforded by a larger university. Many of these opportunities will be coordinated through a community-centered infrastructure and a growing set of public-facing institutes, including the Richard W. Riley Institute, the David E. Shi Center for Sustainability, and the newly formed Institute for the Advancement of Community Health (a partnership with the Greenville Health System). These structures will help launch project teams focused on areas of community need identified by communities and aligned with Furman’s expertise that will allow students to explore and address real-world problems. Ken Peterson, the John D. Hollingsworth Professor of Economics and Interim Dean of the Faculty, and Connie Carson, Vice President for Student Life, co-chair the Strategic Vision Advisory Council, a campus-wide group of faculty and staff who are charged with implementing The Furman Advantage. The faculty voted unanimously Sept. 20 in support of the strategic vision. One aspect of The Furman Advantage that is important to Peterson is the chance for students to be immersed in diverse communities beyond campus, better preparing them to live and lead in a complex, global world by demonstrating the power of different cultures, identities, and perspectives. By learning from both differences and commonalities, Peterson said, students will gain a new set of tools for navigating a rapidly changing world. He also noted that Furman faculty members have long been dedicated mentors to their students, becoming deeply involved in their choices and opportunities, and staying in touch many years after graduation. The Furman Advantage will expand this notion to build a community of mentors—giving students access to a team of advisors and an expanded network of faculty, staff, alumni, and community members who will provide wise counsel along with a broader array of professional and academic opportunities. Carson said one very distinctive aspect of the Furman experience has been the use of self-reflection, helping students to discover their strengths, aspirations, and sense of purpose. The Furman Advantage will expand on this notion, creating for every student a guided journey of self-discovery. This will allow students to design a pathway that achieves their goals and will document the skills they are gaining from their experiences. Peterson praised The Duke Endowment for supporting another key component of The Furman Advantage: best-in-class tools that allow the university to track the student experience in real time, giving each student—as well as parents, graduate programs, and prospective employers—proof of progress and outcomes. Tracking will begin immediately with existing systems that will be improved and expanded over the next several years. 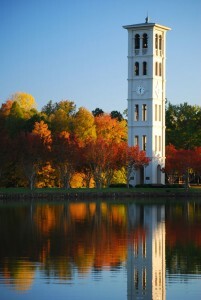 More information regarding The Furman Advantage may be viewed here.